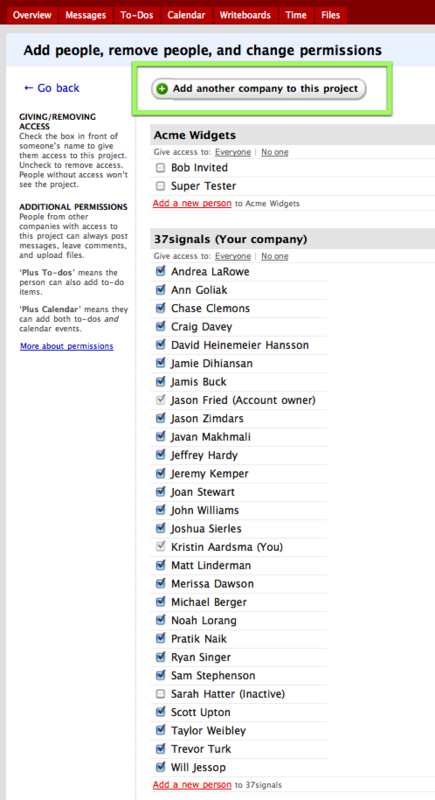 Basecamp Classic: How do I add a person or company to a project? 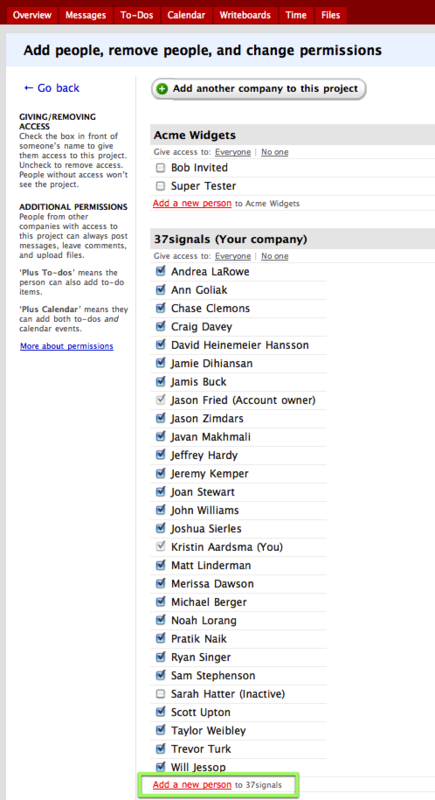 As an admin or the account owner, you can add people and companies to your projects. To add a company to a project: Enter the project and click the “People & Permissions” tab. To add another company to the project, click the button that says “Add another company to this project.” Then you can select an existing company or add a brand new company. To add a person to the project, you first need to make sure their company has been added to the project (if not, follow the instructions directly above). Then, you’ll be able to add people from that company to the project. Only the people you select will be added to the project – not the entire company. Click where it says, “Add a new person.” You can add as many people as you like.